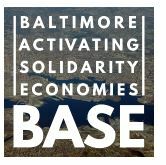 A multi-racial, values-driven organization dedicated to practicing democracy; race, gender, and economic equity; and solidarity with communities most affected by the ravages of the current economic system. We are connectors and co-builders committed to being on the ground in communities and in policy spaces with the goal of greater policy alignment with communities’ experiences. We are dedicated to working in multi- and interdisciplinary ways, thinking creatively, learning from one another, and sharing our experiences.